This may seem like a tall order, but, by the end of my session with Sam, my pitch met ALL the criteria above. But Kathy, you talk for a living. Why did you do this? I, like many entrepreneurs, fall into the trap of tripping over my own boring words and losing all objectivity. Award-winning program measurably increasing self-confidence in women & girls. Sam’s analysis: This is a snoozer [but, said with her really awesome NPR voice which makes everything seem better]. 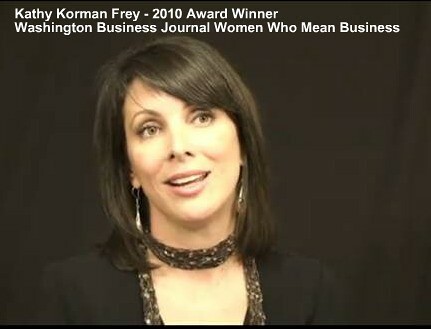 If you want to get across “Award-winning program,” a great way to do that would be to say, “As the Washington Post says, ‘A revolutionary program for women entrepreneurs, future and current’.” That’s a quick way to communicate credibility. There is evidence. Self analysis: Right out of the gate I #fail with rule number 1 and 3. I am overly-focused on the credibility and it is boring. Got women and girls in your life? We make them more confident. Sam analysis: This is better but I have some suggestions. The good thing you did is this: First, you established two-way communication. By asking a question, you are engaging the audience. There is personal relevance. You are leading them to the thought pattern, “Oh yeah, women in my life? My wife, three daughters, ME!” Here’s what I’d change: “We make them more confident” should be something like, “We increase their confidence, courage, and clout.” “Increase” is a better credibility word than “more.” Also, the Hot Mommas Project is not just about confidence. You provide women so much more. Confidence is respecting yourself. Courage is the bravery to put yourself out there and go for it. Clout is the authority and ability to get things done. You are also making it more memorable and repeatable with the alliteration. Self analysis: Sam is enhancing the memorability and repeatability through the use of alliteration (rules number 1 and 3). She is also changing the word “more” to “increase” to enhance the message of credibility (rule number 5). She complimented me on the use of a question – “Got women and girls?” – to draw people in and relate to it to them personally (rules number 2 and 4). Rule number 6 (“do people want it?”) is not discussed overtly, but this is because Sam has background and context on the HotMommasProject. She understands I know this market inside and out. Got women and girls in your life? We increase their confidence, courage, and clout. Do I pass the test? Let’s see. 1. Can they repeat it? Yes. The “c” alliteration helps accomplish this. Confidence. Courage. Clout. 2. Can they see it? Visualizing the women in your life through question, and hint at action (increase). 3. Can they remember it? Again, the alliteration c helps with this. 4. Can they relate to it? (“How does this apply to me?”) Yes. Steered toward thinking “my wife, my sister, my mom, my friend, ME! 5. Do they respect it? Yes. Use word “increase” to show RESULTS. 6. Do they want it? (Does it match a need they have?) Yes. Women and girls movement. We know our market. Step 5: Examples. The Deal Sealer. Sam analysis: After this pitch, whether it’s on your website or said in person, the next click or sentence needs to demonstrate EXAMPLES. #1 Missing the mark with your words. I used to think I was good with my words. I was a confident and enthusiastic speaker. But, I was missing the mark with my pitch. When it came down to the 10 words, THE conversation through which people would remember my work…I was failing. I realized this at one of Sam’s seminars during an exercise I’ll never forget. First, we went around the table and gave a typical description of / pitch for our business. Then we went BACK around the table and everyone says what they remember about each others’ businesses. 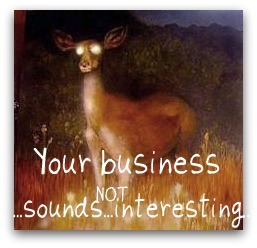 It’s FASCINATING because 9 out 10 times, people are NOT taking away what you would like about your business. I fell into this category. Cash: Land multi million dollar deals. Conversation: Turn conversations from a dead end to an open-door. 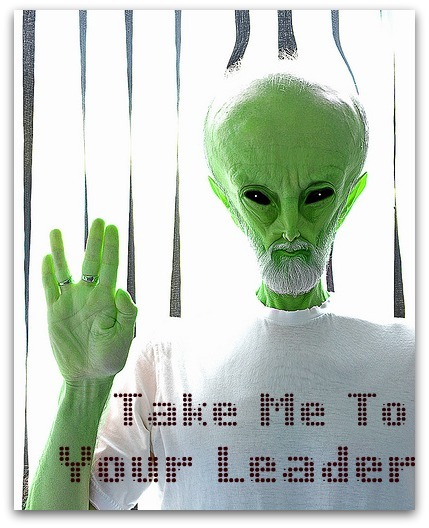 Connection: Turn “take me to your leader” stares into meaningful connection. See how I did that? The Cs? Sam, are you proud of me? Sam does not take on all clients. That is part of what makes this post so special. But, she will do the following for readers of this post…Email info@SamHorn.com and she’ll send you an article “Pop your pitch: Win buy-in to your business in 60 seconds or less.” Sam taught the principles in this article to entrepreneurs at a recent conference resulting in major media coverage for two of the entrepreneurs within five days. Our decision to focus on the words that come out of our mouths to describe our businesses is THE difference between a deal maker or deal breaker. The entrepreneurs listed below have taken on the pitch challenge. See their first pitch drafts here. We will be harassing them within an inch of their lives until they post their pitch redrafts on this blog. What is your pitch? Will you make changes based on Sam’s advice? Please post here so all may learn. The Hot Mommas Project has been featured in the Washington Post, on NPR, and conferences and universities around the world. Our founder is the instructor of the award-winning Women’s Entrepreneurial Leadership course at the George Washington University School of Business. ← How Do I Write a Hot Mommas Project Case and Serve as a Mentor for Girls and Women? Ann. I’m no Sam Horn but found that when I really looked at the six rules, my “business card short saying” was different from the “pitch.” The pitch is the answer to “what do you do?” The short saying on my business card might prompt them to ask “what do you do?” This is what Sam has taught me about the pitch, specifically. Then, make the answer to “what do you do” as interesting as possible, cutting through the noise. I’d be curious, especially with your background, about the application of the below to your pitch. I am really working at it. Kind of a brain-teaser/mind-bender kind of thing. Will probably come more naturally to you. Inspiration, education & edification. Building the bridge to better health, one word at a time. You did the alliteration! You’re so good. For both you and Ann I am trying to “see it” and “respect it.” I know both of you are good at what you do, so want to see a result, or increase, or proof. Maybe I am reading into this. Because then I look back at my pitch and say “could this be any clearer?” P.s. I am also open to feedback on my pitch as – I mentioned above – I really tend to lose objectivity. Again, the “rules”…. This is TOUGH! This is one of the most valuable blog entries I’ve seen anywhere in a long time. Thanks so much for this information! Thank you Tawana! Sam, what can I say, she’s got a very very valuable specialty. All suggestions and specific critiques welcomed.